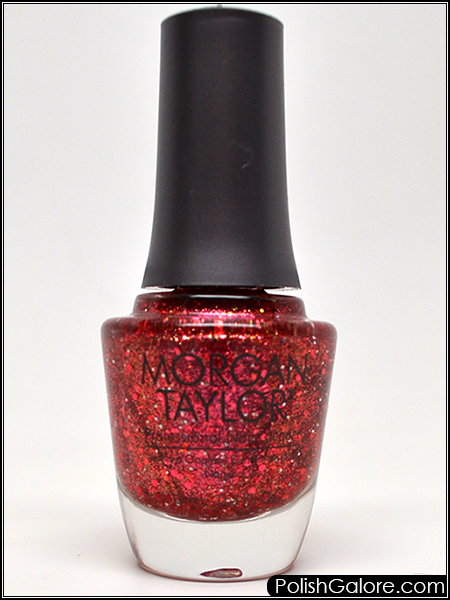 On my first 3 fingers, I wore 2 coats of polish over Hollywood's Sweetheart, since that's a great red neutral polish. On my index finger, I wore just 2 coats of polish alone. All nails were topped with Glisten & Glow top coat. Surprisingly, I think I could get away with wearing this polish on its own with my short nails! Glitter removal wasn't terrible but having the base color under helped of course.